The 2018 Winter Olympics are not lacking in inspiring stories. 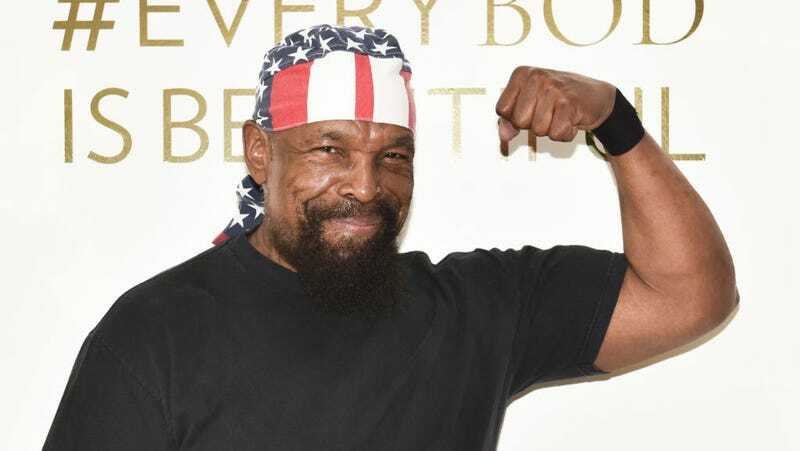 But perhaps nothing has been more inspiring than seeing American icon and noted pitier of fools Mr. T proudly display his precious little heart on the internet for everyone to see. All week, the former A-Team star has been live-tweeting the Olympic games and sharing his thoughts on sportsmanship, patriotism, and the excitement of watching a competitive curling match, all while presumably wearing his American flag pajamas. Like any Twitter user over 60, Mr. T’s tweets are peppered with unnecessary capitalization and intermittent use of hashtags. But that only adds to the overall charm of seeing a notorious tough guy get truly, emotionally invested in the stories of these young athletes. In a world filled with needlessly cynical content, the purity of Mr. T’s enthusiasm is a breath of fresh air. While he’s an avid supporter of all the athletes in attendance, Mr. T isn’t shy about his Team USA favoritism, and was quick to congratulate 17-year-old Red Gerard on his gold medal win. But he’s also not afraid to speak up when he thinks the judges got it wrong. Win or lose, all Mr. T really cares about is whether or not you tried, like some sort of big, gold-chain-wearing father figure. May we all someday learn to be as pure as this man and thereby avoid being the fool deserving of pity.